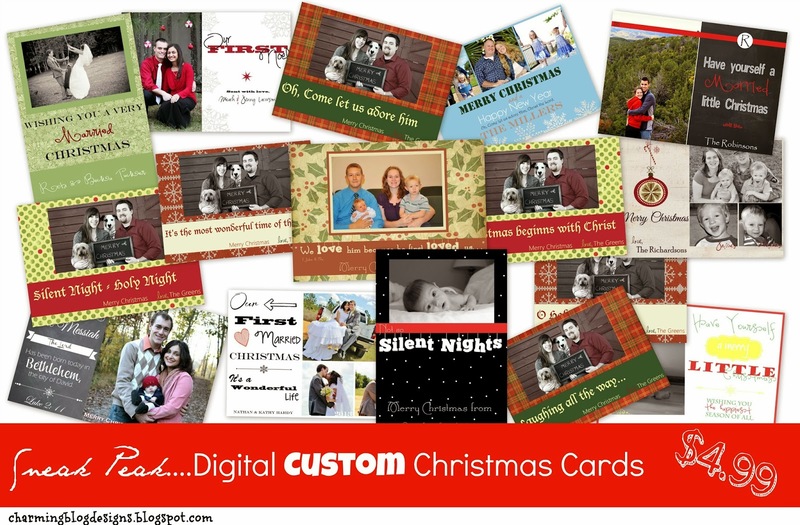 Starting next week I will be selling many different styles of Digital Christmas Cards......custom made just for YOU! I will add your family picture and add your names....viola! A perfect card you can send to family and friends via email OR you can print it out at your local store (as many times as you need) and surprise your family with actual Christmas Cards! From the bunch you see up there....what are you liking?